Well, Y2K came and went, and still no public release yet. I decided to update the web page with some more information. Vivid is a BBS software resembling a cross between Impulse, Iniquity, and Illusion - yet written completely from scratch. It is NOT an attempt to clone any of these softwares, though it did have some influence in development. So far, it contains most of the basic features of a BBS software, with some extra added goodies and options. The only part left that needs serious work is the file system. 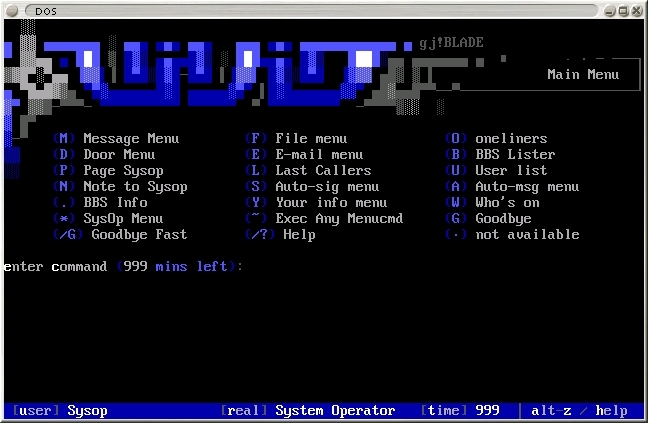 Vivid should turn out to be an extremely configurable and flexible BBS software. I didn't exactly like the idea of talking about specific features and promises here as many would start to cry "vaporware"; but I really do think you'll be pleased with the release if you're an experienced Sysop. People who have never ran a BBS before may find Vivid a bit difficult to run.